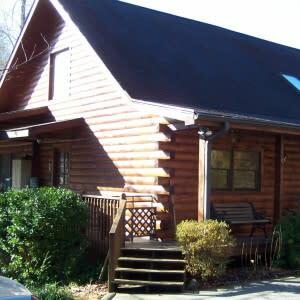 Lakeside Retreat is a beautiful 3 bedroom, 2.5 bath lakefront log cabin on Mirror Lake in the gated community of Riverbend. 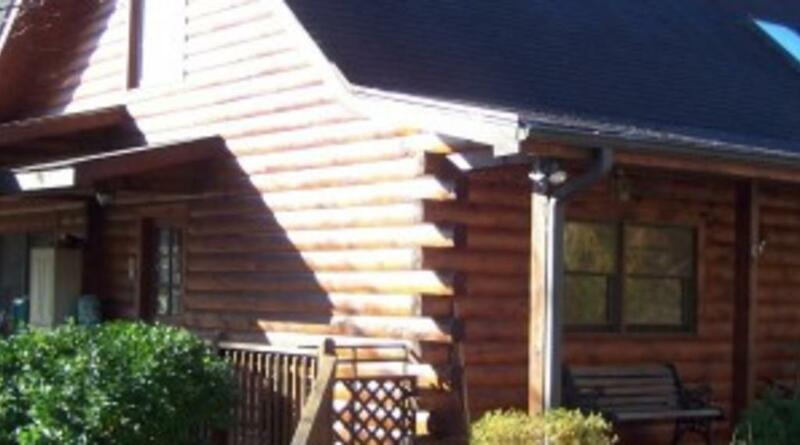 The home features a wraparound porch that is both open to the stars and covered, awesome views of the lake, a flat bottom boat, and is fully furnished. Inside you will find a kitchen that boasts both large and small appliances, and is well stocked to provide for simple breakfast, lunch, or preparing your favorite family dinner. The living room offers a gas fireplace, flat screen TV, DirecTV, WI-FI, and French doors to the awesome deck. The deck has beautiful views of the lake complimented by a gentle summer breeze. It is large enough to hold family gatherings, cookouts, or just relax with a book. Enjoy the deck at night too. The night sky offers a breathtaking view of the stars. On the main level is the Master bedroom with Queen bed and private full bath and a Guest bedroom with double bed. Washer, Dryer, and full bath (shower only) are just off the entrance foyer. Upstairs is where you’ll find a Guest bedroom with Queen bed, the Loft area, and half bath. The Loft is a great spot for the kids to enjoy board games and peek out the windows to the lake. Walk out to the dock where a bench awaits you to fish from, enjoy a book, or take the boat out on the lake. The lake gradually deepens from the dock allowing for swimming.